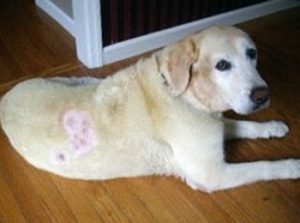 Ringworm in dogs was once thought to be caused by a worm which created a circular pattern that appeared as a lesion on a dog’s skin. However, we now know that the condition known as “Ringworm” is actually caused by a fungal infection that affects the skin. The fungus thrives in hair follicles and causes the hair to fall out in the affected area, sometimes in a circular pattern. The Ringworm fungal infection is very easily transmitted through exposure. 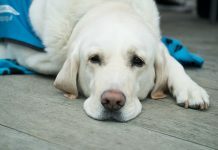 If a dog comes in contact with infected hair, skin follicles, bedding, or grooming equipment, this will sometimes be enough for infection to occur. This infection is also transmitted through contact with soil or plant matter that contains fungal organisms. 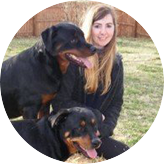 However, the actual rate of infection depends on a dog’s age, immune system status, and skin condition. Exposure to Ringworm-causing fungus does not necessarily mean that a dog has a 100% rate of infection. 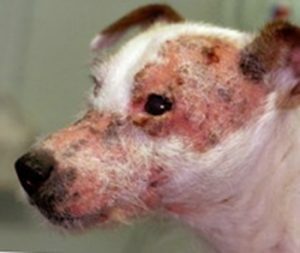 The fungus known as Microsporum Canis is a dermatophyte that is commonly known to cause Ringworm (dermatophytosis) in dogs. This fungus thrives in a humid, warm climate, and is common in areas of the world which have these conditions. Though it most commonly affects animals, this fungus also has the ability to cause Ringworm in humans. In a culture medium, this fungus begins to produce colonies in approximately four days. Typically, the top area of this fungus appears to be cotton-like and white in color. The bottom part of the fungus colony (in a culture) usually appears to be orange or yellow, appearing yellow primarily around the edge of the colony. This fungus is able to use the keratin from skin, hair, and nails as energy. The fungus secretes a substance called “keratinolytic protease”, which breaks down the keratin so that is easily metabolized. This type of fungus usually grows very rapidly and will mature in anywhere from 6 to 10 days. This fungus has worldwide distribution and thrives in humid climates. Under veterinary ultra-violet light techniques, this fungus will not fluoresce. When grown in a culture medium, Microsporum gypseum usually appears to be granular in texture. The outer color of this fungus colony usually appears to be cream to beige in color. The surface may be cinnamon colored, and a white downy layer may develop on top. The fungus species called Trichophyton mentagrophyte is also part of the dermatophyte group of fungi. On a scientific level, there are five different variations of this fungus. The characteristics of this fungus are variable, usually appearing powdery or granular in texture when exposed to a culture medium. This fungus is able to assimilate substances such as potassium, calcium, sodium and phosphorous, though its growth can be inhibited by folic acid. As with other types of fungi, Trichophyton mentagrophytes thrive in warm, humid climates. 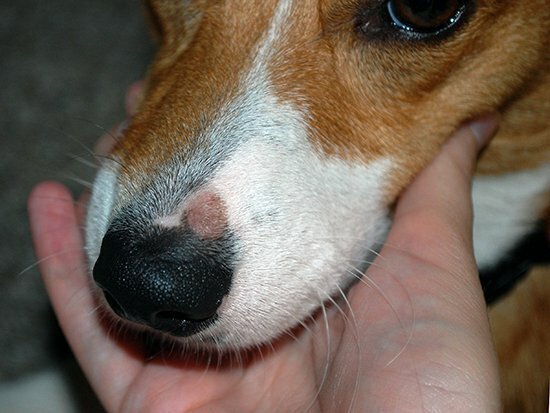 A dog that is infected with Ringworm may or may not have the characteristic circular lesions that are commonly associated with this condition. While it is possible for the lesions to be circular in shape, often they are oblong or patchy. This can make Ringworm a bit difficult to diagnose, as it is sometimes mistaken (upon visual inspection by a veterinarian) for other skin conditions. Since Ringworm infects the hair follicles, these lesions will usually be hairless, and may or may not be scaly, red or itching. The symptoms associated with Ringworm are mostly physical, aside from the discomfort a dog may experience from this infection. 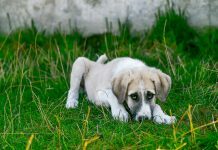 What dogs can be infected with Ringworm? Since the fungus that causes Ringworm is native to most of the world, Ringworm does not necessarily have to be region specific. However, as with most fungus, Ringworm is more common in areas with a hot, humid climate. Though all dogs could possibly become infected with Ringworm, it is much more commonly seen in dogs that have underdeveloped or weak immune systems. This is why Ringworm is frequently seen in puppies since their immune systems have not yet had sufficient time to develop. Ringworm is also sometimes present in dogs that are immunocompromised, or who are experiencing a previously existing illness. Since this disease is skin-based, it is easily transmissible from an infected dog to other animals. Contact with infected hair, dead skin, or other materials is often times enough to promote transmission of the infection. Ringworm is not species-specific and can infect humans, cats, dogs and other small animals. If you have a dog that is infected with Ringworm, it is very important to isolate your dog from any of your other pets. Also, it is highly recommended that you sterilize any objects that come into contact with your infected dog, as this is also a common method of transmission. Besides direct contact with an infected animal, the fungus that causes Ringworm may also be transmitted through contact with infected soil or other organic materials. Since Ringworm is caused by a fungal infection, it is not fatal to your dog. Even in severe cases, Ringworm can be treated by administration of anti-fungal medication (either as a topical ointment, shampoo, or oral medication). Since Ringworm has the visible symptom of creating lesions on a dog’s skin, most pet owners are able to catch this disease fairly early, which improves the effectiveness of treatment.